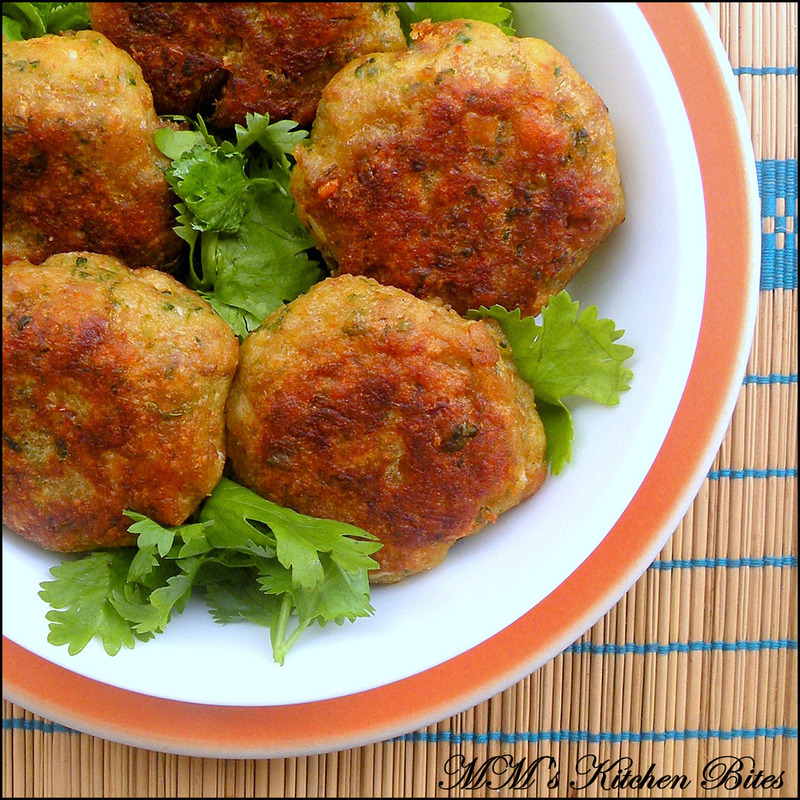 MM's Kitchen Bites: Prawn Cutlets..smash them up!! Dump in the prawns, garlic, red chili powder, salt, cumin powder, coriander leaves and green onions in a food processor/chopper. Pulse a couple of times (resist the urge to to do an additional round, no matter what!!) and remove the mix into a bowl – you should have a coarse thick mix and not a wet paste like consistency. Add in half a beaten egg, ¼ cup bread crumbs and mix well with a spoon. 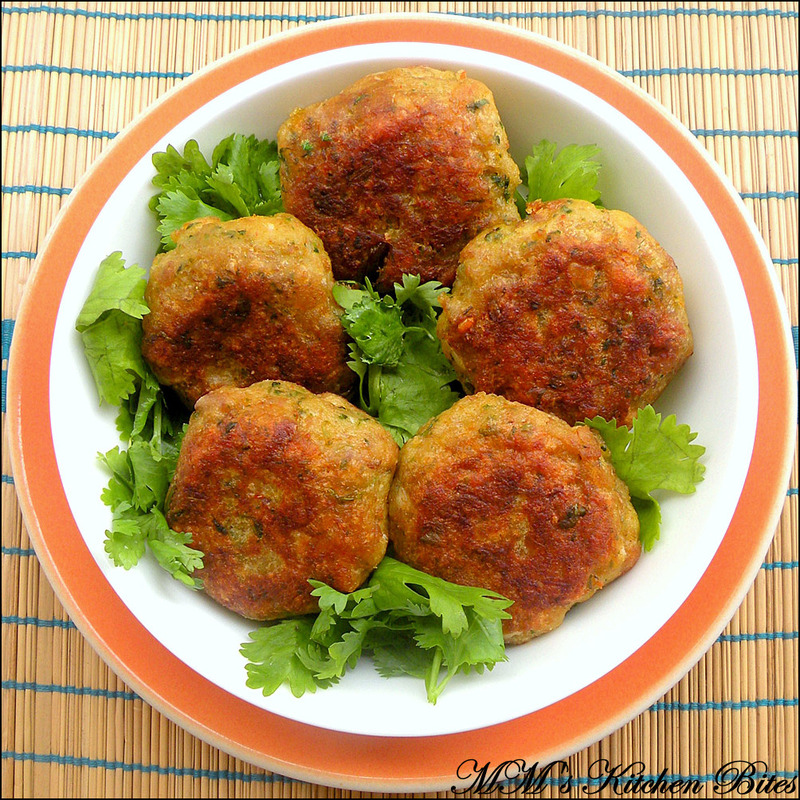 The consistency should be such that you are able to shape into cutlets but the egg and bread should not overpower the taste of the prawns – so start with less and then add more egg and/or bread crumbs if needed. Wet you hands lightly and shape the mix into cutlets. Heat oil in flat pan. Shallow fry the shaped cutlets on medium high heat till golden brown on both sides – not more than a couple of minutes on each side. Munch on with the dip of your choice!! They look awesome :) You know what,this was supposed to be my next post,though it's a different version :)your cutlets look so perfect and tempting !